I feel like soup is my go to these days! So easy to make, so good, and so filling. This winter Sean and I had a cream of asparagus soup at a new restaurant we were trying and loved it. Making this soup also inspired Sean to buy me a new kitchen gadget so it was a win win for me ❤ I’ll tell you about it after the recipe! 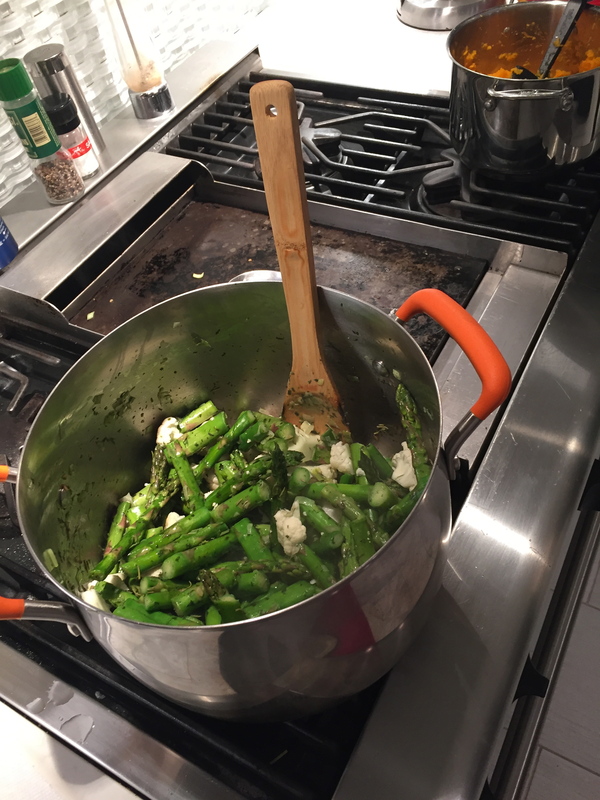 -3 bunches asparagus, chopped into thirds, reserve a few of the heads for garnish! My cooking buddy, Badger . 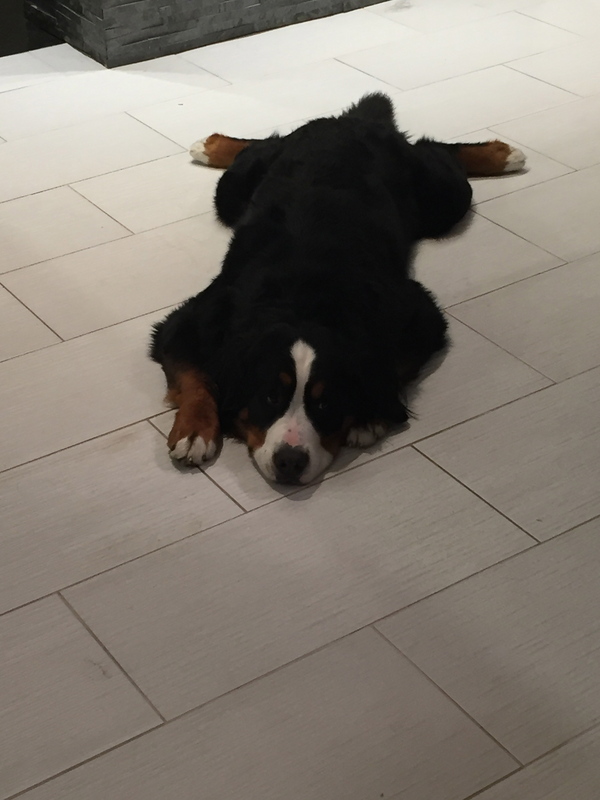 . . he is a 1.5 year old Bernese Mountain Dog! Ok! So now my new kitchen gadget! A lot of the soups I have been making lately require an immersion blender . 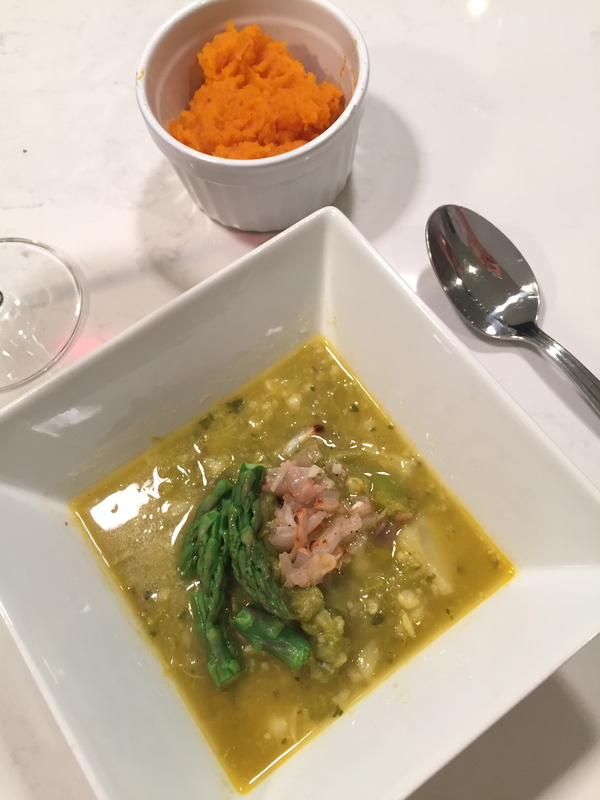 . . transferring hot soup into my food processor is SO annoying, and with how clumsy I am I’m surprised there hasn’t been a disastor yet. 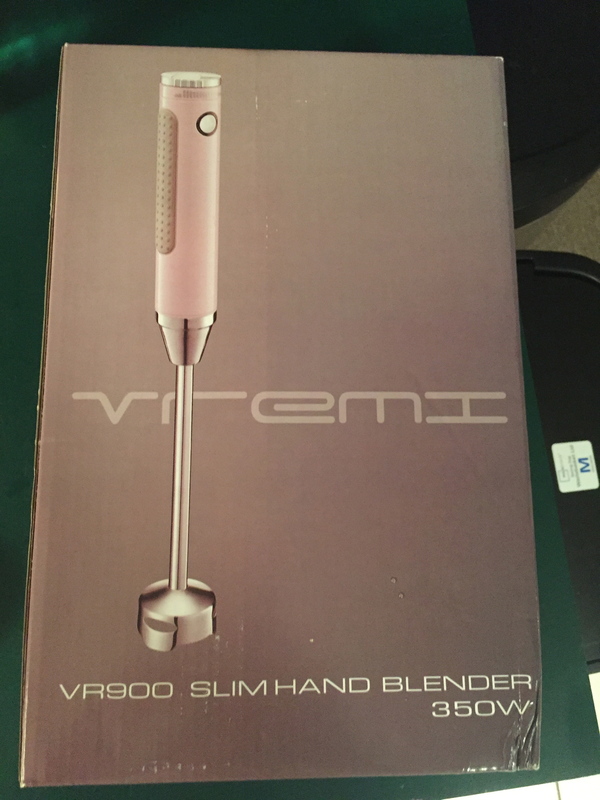 Anyway, Sean bought me a PINK immersion blender by Vremi. It’s so cute. I have not tried it out yet, but I hope to soon so I can let y’all know what I think. New kitchen supplies makes me so happy! 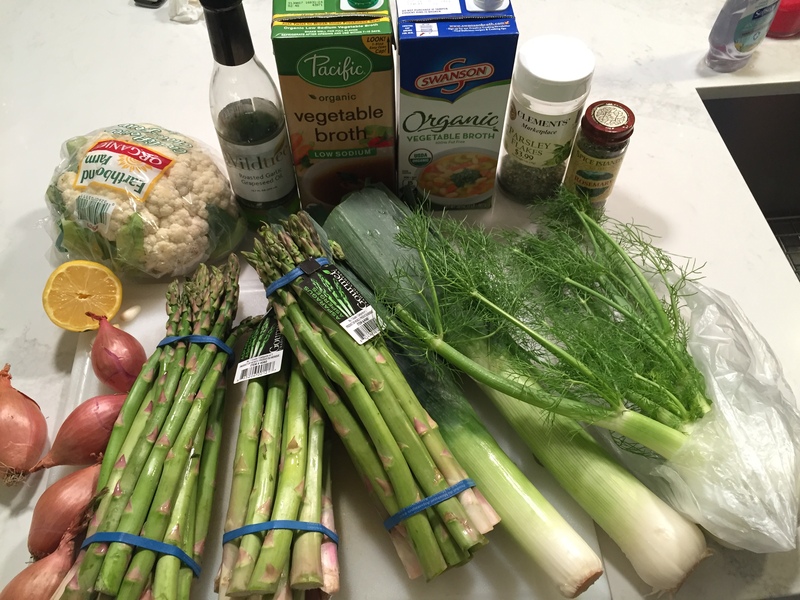 Posted in UncategorizedTagged BellinisToBlooms, BerneseMountainDog, Blog, Blogger, BlogPost, ButternutSquash, Cook, CreamOfAsparagusSoup, GlutenFree, Homemade, ImmersionBlender, Kitchen, Organic, Present, Puppy, Recipe, Soup, Vegan, Vegetarian, VremiBookmark the permalink.